This article is part 2 of a 3 part series exploring the fundamental role that diet and nutrition play in our ability to create optimal oral health. In the first article in the series, we explored how our diets have a foundational impact on whether our teeth are prone to decay or able to resist decay, and particularly how the system called dentinal fluid transport is primarily responsible for determining whether our teeth are decay resistant or prone to decay. In this article, we will focus on what foods support proper dentinal fluid flow, therefore those contributing to greater oral health and more importantly why. If you haven’t read the first article on dentinal fluid flow, we strongly encourage you to read part 1 of the series before jumping into today’s article. You see, the information from the first article really sets the stage to best understand today’s discussion. Any discussion on the impact of nutrition on oral health must include the landmark work of Dr. Weston A. Price. Many of you may know this story so for those of you not familiar with the work of Dr. Price, he was a dentist in the 1930s in the US who decided to travel the world to study people living in isolated areas who were still eating their traditional foods. In other words, they weren’t living on the ‘foods of commerce’ as Dr. Price referred to them. His hope was to identify what was causing the rampant decline in oral health he was seeing in his dental practice back in the United States. Dr. Price traveled the globe to remote locations in Africa, the Pacific islands, South America, what is now Alaska, rural Switzerland, Australia, and Ireland studying the diets of the isolated villages he visited and their relative level of oral health. What he found across the board was that people living their traditional ways had a very low rate of tooth decay and were generally very healthy. In fact, in one village he studied where the residents allowed Dr. Price to study the skulls of the dead from that village, Dr. Price found one cavity in 100 skulls! Not 1 cavity in 100 teeth, 100 skulls! That’s one cavity in 3200 teeth! Despite very different diets across the world, Dr. Price did find common threads through the traditional foods the various cultures ate around the world. One of the common threads he found was that the traditional peoples consumed 4 times the minerals as Americans in the 1930s and 10 times the fat soluble vitamins! Mind you, this was well before the low-fat propaganda blitz hit the US. Given this information, it does make sense that we dearly require more minerals in our diets and WAY more healthy fats than most people in our culture consume regularly. We are very grateful for the rise of the ‘real food’ movement, the concept of nutrient dense cooking, and the awesome work that so many great researchers, authors, and bloggers are doing to help spread the word about the benefits of eating real foods such as our ancestors did. Another challenge we face when pondering how to obtain sufficient minerals in our diets is how our food has been grown for the past 80 years. When our global culture took the ‘better living through chemistry’ pill, industrialized farming began dumping lots and lots of NPK (nitrogen, phosphorus, and potassium) into the soil because soil scientists inaccurately determined that nitrogen, phosphorus, and potassium were the only elements necessary to grow healthy plants and agricultural products. The following decades of high demand farming with NPK have resulted in a soil that is very depleted of all the other minerals necessary to live a vital healthy life. Many of these minerals are required to ‘turn on’ specific enzymes in the body. Trace minerals are the ‘spark’ that provides the necessary parts for the body to produce all the enzymes our bodies make every day. If, however, we are depleted of chromium, for example, our bodies simply will not be able to produce the enzymes where chromium is required. A great book on this subject documents the travels of another pioneer like Dr. Weston A Price. Maynard Murray studied the role of trace minerals and their function in providing the body all the ‘parts’ necessary to live a vital life. Among other things, Dr. Murray was successful in reversing cancer in many species by providing the minerals necessary in their diet. His work is beautifully documented in the book from Chuck Walters, editor of Acres USA (another awesome read! ), and the title is Fertility from the Ocean Deep. The third challenge with getting sufficient minerals in our diets is due to not having a healthy gut colony. As we understand it, the ‘good bugs’ in our intestines actually predigest the foods we eat thus making the nutrition more available for us to uptake. Without healthy gut colonization, eating the most nutritious diet would still fall short. We think the expression ‘we are what we eat’ isn’t quite accurate. We find that ‘we are what we assimilate from what we eat’ is a more accurate statement. In other words, if we eat lots of quality foods but have less than optimal digestion and absorption, then we’re still going to fall short of our nutritional needs. Let’s move on to how all of us need more fat soluble vitamins and activators. The vitamins we are referring to here are vitamins A, D, E and K, particularly K2. While giving this subject the attention it deserves is beyond the scope of this article, we’d like to share one example relating to oral health of how these vitamins are crucial and work together synergistically. Vitamins A and D together stimulate cells in our bones to produce osteocalcin. Osteocalcin is used by the body to build new bone tissue or reinforce bone tissue that needs support (including teeth that are demineralizing). However, osteocalcin needs to be activated (a term that Dr. Price recognized and identified as activator X in his research for lack of a better term). Vitamin K2 is what activates osteocalcin and makes it ready to plug into existing bone tissue. So, the real question is where can we get these vitamins together in a highly available form, which from our perspective is in their whole food form? Well, it turns out that Dr. Price again identified that the combination of cod liver oil and high vitamin butter oil were a fabulous combination to supplement to provide our bodies with lots of these fat-soluble vitamins to bring about positive change in our oral health. Before we get into what other foods are high in fat-soluble vitamins and available minerals, let’s reflect on one other comparison that Dr. Price found. He compared people living in their traditional ways with other people from the same villages who had moved into the towns nearby that ate processed, convenient, foods of commerce. He found an average % of decay in the people who ate their traditional foods was right around 2% of all teeth he studied. In contrast, the % decay in the same peoples living on modern diets averaged over 30% with a high of over 70% among Australian aborigines living on modern diets! There’s no way around it, diet plays an integral, foundational part to any path to optimal oral health. If you stop and think about it, this really makes sense. Unless our bodies have the building blocks, the parts necessary to thrive, they will do the best they can with substandard ingredients, which will result in substandard health. Unless our bodies have the building blocks, the parts necessary to thrive, they will do the best they can with substandard ingredients, which will result in substandard health. So, what foods provide us lots of nutrition in the form of minerals and fat-soluble vitamins? Well, many of them happen to be out of favor of what our modern society says is ‘healthy’ and ‘delicious’ . Foods like eggs from animals raised on pasture, cream and butter from animals raised on pasture, organ meats from animals raised on pasture, even some cheeses are high in some of these fat-soluble activators. Do you hear the common thread here? The quality of the food products we eat is of paramount importance when it comes to the nutrition that these foods contain. Animals must live on pasture and have access to lots of sunlight in order for them to get the nutrition they need which will be passed to us in the products we eat. For example, we mentioned the importance of vitamin K2 to activate and make available the vitamin A and D for bone production. Well, animals create K2 from vitamin K1 that they get from eating green grass. In fact, the amount of K2 in animal products drops significantly when the animal is off green grass. The lesson here is to source the quality of animal products well. Organic is always wise too. You see, healthy animals living on their natural foods accumulate the minerals from the food they eat and concentrate them into very available forms when we consume their products. I understand how it would be great if we could live healthy, vital lives without having to consume animal products, but from our studies of history and nutrition, we are gratefully and hopelessly dependent on animals to optimize our nutritional needs. Let’s quickly offer a list of foods that we consider to be some of the highest nutritional components of a healthy diet. One important source is quality products from healthy animals living in their natural environments. This includes eggs from pastured chickens or ducks, fish eggs, the organ meats of cattle and other grazing animals, chickens and fish as well as dairy products from pastured cattle, goats or other milk producing livestock. Another big source of lots of healthy fats and proteins along with a bunch of very available minerals is homemade bone broths or stocks made from bones of healthy animals living on pasture. We consider bone broths to be a foundational component of a healthy diet. Every traditional culture has their version of grandma’s chicken soup that they rely on to provide their families lots of nourishment in a very easy to digest form. Also, any discussion of optimizing diet for greater oral health wouldn’t be complete without including the vital role of naturally fermented foods to increase the beneficial bacteria in our guts. Like we mentioned above, it’s the good bugs in our digestive systems which make the food we eat available to absorb! We consider foods like unpasteurized saurkraut as well as homemade kefir and yogurt if you do dairy, fundamental parts to a healthy diet as these foods nourish and support a healthy bacterial colonization in our bellies. As an interesting side note, consuming animal products like fatty cuts of beef and organ meats is the very best way to stabilize and optimize blood phosphorus which, as you know from the first article in this series, is the game when it comes to keeping our teeth healthy. So, to wrap up today’s discussion, we must focus on eating the highest quality foods we can to maximize the minerals and fat-soluble vitamins in our diets if we want to reach optimal oral health like what our ancestors experienced. Here’s a link to a list of resources of books and other websites that share helpful information regarding eating to maximize our genetic potential. 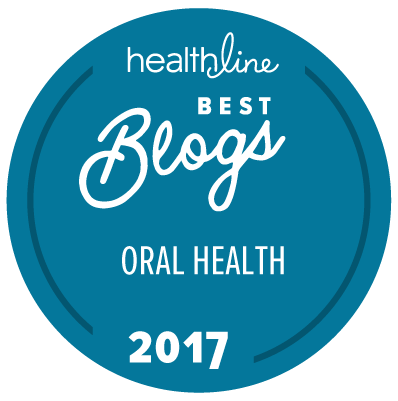 In the next article, we’ll explore which foods undermine our ability to create optimal oral health and why. Please comment below if you find benefit from this information and as always, if you know someone who could benefit from this information, please share it. To gain a complete understanding how to stop tooth decay and reverse cavities, feel free to download our FREE resource guide, “How to Remineralize Your Teeth”. Will and Susan are the founders of OraWellness and are passionate about health, wellness and positive living. "We are experienced dental health crusaders and holistic oral health product innovators who know first hand the power of nature to heal in miraculous ways." Thanks for sharing this valuable information. I have read about this from other sources too. I think you folks are doing an awesome job to educate everyone and share good information. What would you recommend for a person who has been mostly-vegetarian, does eat fish, no meats (that is, not vegan) who is lactose intolerant eat? Eating dairy is not an option for a lactose intolerant condition. I have heard that Greek style yogurt may be tolerated by a lactose intolerant person. However, a local manufacturers of a high quality product told me the Greek style yogurt had 1% more lactose compared to their other varieties. Therefore, I cannot trust the information I heard on some blogtalkradio session. Thank you so much for reaching out here with your great question. Here’s the game for someone who looks to limit their animal consumption. Eat lots of coconut oil and ghee. Another option is fresh (raw) dairy. You see, if a person is lactose intolerant, that means their system doesn’t produce lactase, the enzyme necessary to assimilate lactose (milk sugar). However, fresh dairy products have lactase still present in them (as the enzyme has not been killed by pasteurization in fresh dairy). That said, still some folks want to avoid dairy, which we can understand. So, then you really want to go purchase some ghee (clarified butter) because ghee has all the milk sugar removed and is simply the high quality animal oil from butter. This is what Dr Weston Price used to supplement children to help them heal their cavities. Even the most staunch anti-animal product researchers have trouble arguing against the supportive role of butter oil (ghee). Will – Thanks for the suggestions. While I do have ghee in the pantry, I was not aware that ghee had the milk sugar removed. I have been using coconut oil almost exclusively. Love the videos and the articles. Thank you. I’m going today to a local farmer’s market to get some home grown, green grass fed butter and other goodies that are best for my health. Thanks so much. I just started soaking nuts before I eat them too. I hope you do a video on that. I bet it’s coming…Thanks. Just can’t find grass-fed butter in adequate quantities around here. Some stuff from Ireland. We are eating the grass-fed, grass finished beef that we buy by the side or whole carcass, and growing a portion of our own fruits and produce. We are experimenting with sour dough breadstuffs, and sprouting beans, seeds and wheat to up the phosphorus/phytic acid ratio. We have eliminated vegetable oils almost entirely from our diet. Olive, butter, and coconut milk and oil are our staples now. Your advice on that point was one of the most shocking, enlightening things I’ve ever read about diet and health. Do you have a chart, perhaps, of the most bang-for-the-buck changes we 21st century eaters can make in our diets for oral and whole-body wellness? Let’s rise above prevention. Prevention is about disease and death – that’s what we are preventing, right? So our heads are in disease and death. What is the easiest, and (forgive me) cheapest route to great health, radiant health, and peak performance? If you don’t have it already on paper, I know you have it in your head already, Will. When it comes to minerals, can real salt (Celtic, Himalayan, etc) consumption help in aiding sufficient good stuff? Thanks for posting! Yes, we do feel that real salt is a necessary agent for many trace minerals. We prefer the idea of Himalayan salt as sea salts from the oceans these days freak us out given the amount of toxic materials we know are being dumped into the waters on the earth. I’m much more likely to trust really old salts than the stuff that’s being created these days. In fact, Maynard Murray used sea salt to heal various species of cancer in his studies. However, the way he did this was to add the salt to the soil used to grow the foods for these animals. It’s always much, much better if we consume plants/animals that have been raised with a full matrix of trace minerals rather than consuming the trace minerals ourselves. That said, short from this, clearly consuming high quality salts will provide us with more trace minerals than we would otherwise have. First, I want to thank you for your articles and your excellent products. I also thought about salt as I read your article. I have been mineral deficient for many years. Juicing almost every day is essential and eating a very healthy diet, but it is still not enough. I began taking sole (fully saturated salt water) a number of months ago. I use the Himalayan salt. It has helped considerably with leg and feet cramps. Also, before, I had a tremendous amount of plaque buildup on my teeth after a short period of time, but now that is minimal. I’m sure the mouth blend has also helped! The most amazing thing is for 15 years I had blocked carotid arteries. Last August a doctor said I needed to have another scan because he could hear the blockage. Shortly after that I began the sole. In March I had the scan done and there is now no blockage! Hopeful that when I have my next bone density scan, I will no longer have osteoporosis. The miracle of minerals! Congratulations on your own ‘miracle’ Tommi! That’s awesome! Thanks for sharing your story with us here! We want to hear how the bone scan goes! Great dialogue here, Will. Thanks again. We buy sun-dried New Zealand sea salt in 50 lb bags. That has been virtually our only household salt for the past 10 years. Only on our 3rd bag, and it’s mostly full. What I noticed early on, and somehow more as time goes on, is how much LESS salty it is than commercial table salt. For a while I thought they might have somehow included sugar in it, but have come to the conclusion that there is a higher mineral content than I expected. No hard research or testing on this, but the taste difference is rather dramatic. For years I ignored the idea of mineral depletion of soils. Then, doing some reading a few years ago, I found out that virtually the only things that come up to plants through the roots are water and, guess what? – minerals. So we bought a 50 lb bag of Azomite rock dust to throw into the soil of our garden. Can’t say we have noticed any difference, but we are sort of casual gardeners. Then, a couple years after that I suddenly had what seems to me an epiphany, an “Ah ha!” moment. I realized that pretty much the only minerals most gardeners and farmers put back into the soils today are NPK, nitrogen, phosphorus, & potassium. Suddenly mineral depletion became clear to me, and the need for mineral supplementation if one is buying produce from commercial growers more compelling. I grew up in a desert climate, and wondered for decades why, when you pour water onto sand, crops and orchards flourish. I watched Mt. Saint Helens erupt from our front yard in 1980, swept ash off of our driveway for days, and heard the growers in Yakima and other parts of Washing that really got dumped on raving about how their crops flourished after the dense ash fall that they “suffered.” My epiphany explained that, too. More minerals, more variety of minerals in our diet! We bought a simple, inexpensive brix meter refractometer last year to measure the sugar and mineral content of our own garden, and of other fruits and veggies that we consider buying regularly or in bulk. It surely surprised us to find that many of the “organic” fruits and veggies in our local markets are no higher on the brix scale than what we buy at Safeway. So I am almost to the point of doing what I oppose doing as a matter of principle: buying supplements – at least for a while. I must say we are already eating only organic and high ‘good fat’ foods (like avocados and coconut oil). We add trace minerals to our filtered water. But is that enough? What more ought we be doing? Any suggestions welcome. You guys are doing a great job. Thank you for providing this need. I hope this helps you along your path Valerie! So is there NO K2 in fermented vegetables, sourdoughs, etc.? I’m not sure that there is no vitamin K2 in fermented veggies, sourdough, etc. What we do know is vitamin K2 has two main forms. One form is found in quality pastured dairy products (high quality butter, ghee) and the other K2 is a result of bacterial fermentation. The main food sources for this second form of K2 are natto (Japanese fermented soy paste) and some aged cheeses (namely gouda). So, given that bacterial fermentation does produce the Mk-7 form of vitamin K2, it stands to reason that some fermented veggies could be rather high in vitamin K2. Thank you for stopping by to add your thoughts to this discussion. My understanding is that our gut bacteria do not produce sufficient K2 for us. In fact, the research is suggesting that the little K2 our gut bacteria do produce is used by the bacterial colony! So, while I agree with you that we do get K1 from leafy greens, I think we’ll have to agree to disagree on the need to consume other sources for K2. I have many Japanese friends so I’ve forced myself to eat natto. I can’t say I enjoy it, but, given its nutritional benefits, I feel it’s necessary. The reason for my post is to say that natto is very similar to a very smelly blue cheese. Don’t be deterred by the smell. Thanks for stopping by to share your appreciation for this wonderful, pungent food! Thank you so much for all your posts and the information on your website. I am loving the Oil Brushing Blend and everything is really helping me in my goal to attain greater oral health. I have been following a WP & Paleo diet for a while now (about 5 years), have had a total dental restoration and do feel better overall. Also, looking to take my diet further and am considering trying GAPS to heal my gut issues. Still some dental issues continue with an abscess and a couple of cavitations. I am wondering if you have any experience, strength and hope to share around if teeth can re-mineralize and heal underneath dental work like a bridge? Thanks, Will for all your work. I am fortunate that one of my Palestinian Reiki students has given me a gift of home made butter that she made from milk from her own goats. The goats eat grass in the winter, but now, when there is no rain, they eat mostly hay. The butter is very pale yellow. Does that mean that it is not good? Or perhaps the color of goats’ milk butter is paler than the color of cows’ milk butter? You are right on the mark regarding the color of the butter!!! Given that you have seen this quality butter a richer color when the goats are on green grass, this means that when they are on hay, the amount of vitamin K2 (among other fat soluble vitamins) is lower, thus the pale color. Dr Weston Price wrote of his travels in Switzerland how the Swiss saved the butter from cows grazing on the lush glacial grasses of May and June. The Swiss used this special butter in their religious ceremonies as well as saved it for expecting families and the sick. Dr Price commented how the color was such a deep yellow it was almost orange. I don’t know about you, but I have yet to see any butter close to orange!! 🙂 Maybe someday! I raise and milk goats and had a cow in the past, and they naturally have whiter milk, cream and butter than cows because their body is more efficient at turning carotene into Vitamin A, whereas cows are not. Therefore, even though my goats during the summer are eating only grass, the milk is white, whereas my parents cow gives a more yellow milk and bright yellow butter. One way pioneers would color thier winter butter was by soaking a little grated carrot in a bag in the cream before churning to restore the yellow from carotene. That’s fascinating Michelle! Thanks for stopping by to add your knowledge and experience to this discussion. Yep, I’ve even seen carotene as an ingredient on butter in stores to give an otherwise less nutritious butter the rich color. Is eating seaweed a good form of obtaining rare trace minerals in their natural form? Thanks for posting here! We do think that eating seaweed is a great form of getting lots of minerals. I don’t know whether all trace minerals are represented in all seaweeds. So, it seems to me to make sense to eat a variety of types (nori, dulse, kombu, etc) to maximize diversity of nutrition. Also, I think it prudent to be mindful where the product is harvested. There are some experts who don’t advocate eating any foods from the oceans these days due to high contaminant risk of our oceans now. While we aren’t that extreme, it makes sense to us to check where the company sources the sea veggies to lower the risk of introducing toxins into the system. As an orofacial myofunctional therapist I would love to see you address the importance of eating foods that require lots of chewing, bilaterally of course, to stimulate healthy jaw development and stability. Hello, found out about you initially via The Jay Ferruggia Show podcast, and have been loving your site and products ever since, keep up the good work! I’ve read via Dr. Mercola that Gouda cheese is the highest in K2 among dairy products, even if it’s not pasture raised or organic, because apparently it’s not the grass feeding but the bacteria used in making Gouda that’s key to its high K2 level. Based on your research, do you concur? In other words, do you think it would be more beneficial to spend your money on a basic Gouda over for instance an organic pasture raised cheddar cheese in order to obtain more K2 or would the other trace minerals and health benefits provided by the organic pasture raised cheddar cheese outweigh the higher K2 offered in a basic Gouda? Thanks in advance. Thanks for stopping by and for your kind words of support. Really great question here and one that’s very close to my heart. Incidentally, I have done a pretty substantial bit of research on K2 as I find Weston Price’s work fascinating. So, naturally I have something to say on the subject. I’m going to attempt to discuss this without getting too much into the nitty gritty here… It turns out that the two variations of vitamin K2 most studied come from two main sources. One source is from animal products where the animals have been grazing rapidly growing green grass. The other form is from bacterial fermentation. I’m not sure if they both are actually from bacterial fermentation really given that the K2 from animal sources could be produced by bacterial fermentation within the animal’s body which then results in the K2 in their products (eggs, milk, etc). So when we turn our attention to foods that have higher amounts of K2 in them, it makes sense that some cheeses (like you accurately reference gouda) as being above many other foods. After all, you’re starting with an animal product then taking it through bacterial fermentation. Choosing a conventional gouda over an organic cheddar is tricky as it brings in another factor, the quality of the initial product. If you are strictly going to base your decision on the amount of K2 in the product, then I would have to lean toward the gouda. If however you are going to allow quality of base product to impact the decision, this makes it tougher as it would really depend on where the gouda was produced. Otherwise, you risk introducing a product that has been created with ingredients (GMO grains in dairy animals) that really has no place in a healthy diet. Another option that allows you to side step this issue all together is to develop a palate for ‘natto’, a Japanese fermented soy product. Incidentally, don’t fool yourself to think that you can have miso or other more palatable Japanese fermented products and get K2. Unfortunately, the massive K2 levels in natto are unique to that one fermented side dish in Japan. IMHO, given the two choices of commercial gouda vs. pasture-raised cheddar, the cheddar will win in terms of whole-body health. Building on a shakey foundation is never good, no matter how strong your materials are. In logic they have a similar principle: if one’s premise (foundation) is wrong, then the conclusion(s) will be wrong, no matter how flawless one’s logic. Appreciate the response. Yes, since overall health is of utmost concern, I’ll stick with the organic pasture raised cheese, because as you stated, the possibility of GMO grain feed in conventional gouda may greatly counteract the extra health benefit acquired from the higher K2 level. Natto does sound intriguing, however it’s kind of disconcerting that there are YouTube challenge videos just to see if people can keep it down. I guess it’s an “acquired taste” which is typically code for awful tasting. Then you have to wonder if it’s a matter of time before the possibility of those soybeans being used to make natto become GMO or if just being a legume in general has any underlying negative consequences? Although, maybe I’m just attempting to convince myself of that so I don’t have to try any. Do you feel that if one consumes a good amount of pasture raised animal products on a regular basis that they can obtain adequate levels of K2 in order to not have to endure natto or supplementation for that matter? Although I’m not a big fan of supplements in general, and try to obtain all vitamins naturally via food, do you have any opinion on K2 in supplement form? I see they even make one sourced from natto extract. I look forward to your response and interview regarding K2. Thanks again. I share your trepidation on natto. I didn’t know there were youtube videos on it! How funny! We also very much prefer to obtain nutrition via whole foods vs supplementation. With K2 I find it exceedingly difficult to do unless you have access to very high quality dairy and can digest/assimilate it well in that form. We are also very concerned about the risk of natto being made from GMO soy, which in our book would be heading in the wrong direction. There is a source of K2 in the MK-7 form (which is preferred) not from soy but from fermented chickpea. This is a huge step in the right direction. Check amazon for ProNordic K2. Love reading your articles..so informative..thanks! I’m just wondering what you’d recommend for someone who is vego & allergic to dairy.All dairy,including ghee is out for me. Thanks for your kind words of support. Given the limitations you reference here, be sure to check out the benefits of supplementing vitamin K2 as well as researching foods like the Japanese food, natto, as an excellent non dairy source of this critically important fat soluble vitamin. I like natto. A few years ago when I lived in Austin, Texas, I was told about natto. I found it at a Japanese food store on Burnet Road. (Asahi Imports) The young lady there was very helpful and told me how to recognize the organic natto by the Japanese word for “organic” on the package, which, sadly I don’t remember now. I think I remember buying it frozen, which was convenient, and I thawed it in the refrigerator. Natto usually comes with little packets of seasoning, which was like a mustard and a spicy oil, which I stirred into the natto. I’m a southern (Louisiana) girl, so I have enjoyed foods like raw oysters and boiled okra, which can seem slightly slimy, so the fact that natto is slimy didn’t bother me much. I found a difference in taste, though, among different brands, with the organic being more mild and I enjoyed it most. Thank you for the information. (Oh, I remember not liking it much at first, but for my health at the time, I guess I acquired a taste for it, and actually looked forward to eating it.) I’ll be looking for it again, now! Wow, I found this article to be extremely eye-opening. I stumbled across your blog through Whole30 and I haven’t been able to stop reading your articles. I have had a rare form of colitis for the majority part of my life, I think. It went undiagnosed for 7 years as IBS until a doctor finally got a biopsy that said I had lymphocytic colitis. Truth be told, almost EVERYTHING bothers my stomach. Beef, dairy, nuts, seeds, beans, cruciferous vegetables, eggs (I think…. sometimes this is iffy) and at one point I thought I was Celiac. I cut out gluten. It did not help. I was on drugs and more drugs. They did not help. It’s impossibly hard explaining my condition to people who can eat anything and their gut tolerates it. I’m 29 and diagnosed with a type of colitis that is dominant in post-menapausal women. Makes no sense. At one point I asked my doctor about probiotics and was told I would have to take 30 probiotic pills to even make a difference. Basically, he said I have an obscene amount of bad bacteria in my gut which feeds off of ANYTHING I put into myself. Which is extremely disturbing. I actually eat pretty healthy, too, and it doesn’t make much difference. My dad has been eating raw sauerkraut for years and swears by it but I can’t stand the smell of it. For someone that doesn’t handle dairy well, do you have any suggestions of a probiotic I could try? I found this article very interesting with how vitamins A, D, C, and K2 work and that we are what we assimilate from what we eat. Is there a way I can increase my body’s capability to assimilate more from what I eat? These are questions I’ve had for years and no doctor has ever been able to give me answers or strategies that help. And I’m willing to try anything to see if it helps! I completely agree Gage! Thanks for adding this to the conversation! Also research SIBO to see if that might be your root cause. To Holly – try de-toxifying your liver. There are special fiber supplements that are formulated for this. They prevent waste from recirculating out of the lower gut and back to the liver which has to work extra hard to cleanse it all again. Very frustrating how you go on & on about dairy (& eggs). Then, in one of your answers you go into elaborate detail about how to eat dairy if you can’t eat dairy. Nonsense! Severe allergies are just that! Your suggestion of bone broth & ferments was helpful. I just wish you didn’t spend so much time on dairy & eggs & would spend more time on other proteins. For. Some people diferrent conversation threads are useful while others aren’t. I can’t find the third article in this series: what not to eat… Help! And thank you for breaking down all the research to help direct our paths to dental health. After 6 months of dental hell (and over $5000 worth of work I regret) I definitely needed this. It seems my teeth are whiter using the Healthy Mouth and your toothbrush (I had to buy youth since my mouth Is so small… wish my mom had known about Dr. Price (?) when I was young so my mouth had a chance to develop properly. Likewise I wish I had known when my kids were born. I also have noticed decreased sensitivity! Yay! Now on to remineralization! Blessings and appreciation for all you do! OraWellness is awesome. The information they share is not only well researched and unbiased it has been extremely helpful to me. This is an invaluable service you provide. Thank you. On recent business trip with my daughter, I noticed we were both using OraWellness products for brushing. I’ve been using your products for several years and have given them to all my children and friends who are having dental issues. I really have confidence in its ability to clean without the toxic ingredients of toothpaste. I’m also so appreciative of the tooth saving information I’ve received from the Orawellness website. It has helped me to sort thru the often erroneous information about dental health that exists out there.